What does it mean to major in history? Historians strive to understand the relationship between people, events, cultures, places, and time. History majors must take a range of courses across American, European history, and history of other regions. They take at least one advanced research course where they utilize primary resources to address questions of historical importance. All history majors complete a seminar that introduces them to the research and writing techniques that are central to the historian’s craft. Enrollment is limited to about a dozen, and all students write a research paper using primary sources. History majors develop a systematic understanding of social structures and institutions, strong analytical skills, a capacity for problem solving and thinking creatively, exceptional oral and written communication skills, and an ability to meet deadlines in a fast paced environment. Why is the University of Mississippi a good place to major in history? Our 35 faculty have been trained at world-class institutions in the US and Europe. We have particular research and teaching strengths in the areas of American (with a special strength in Southern), European, African, East Asian, Middle Eastern, and Latin American history. 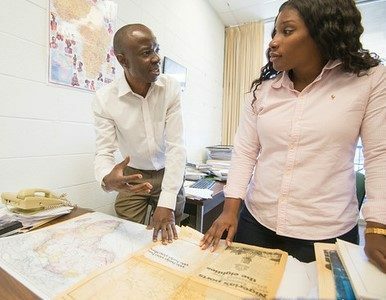 Professors offer courses that focus on, among others, cultural, ethnic, religious, social, political, economic, intellectual, and gender history. Our department is dedicated to fostering connections across disciplines on campus. Approximately a third of our faculty is a joint appointment in African-American Studies, Southern Studies or the Croft Institute for International Studies. 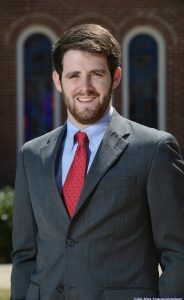 The Arch Dalrymple III Department of History is deeply involved in the activities of the African American Studies program, the Center for the Study of Southern Culture, the Croft Institute for International Studies, the McDonnell Barksdale Honors College, and the Sarah Isom Center for Women’s Studies. Our 35 faculty have been trained at world-class institutions in the US and Europe. We have particular research and teaching strengths in the areas of American (with a special strength in Southern), European, African, East Asian, Middle Eastern, and Latin American history. Professors offer courses that focus on, among others, cultural, ethnic, religious, social, political, economic, intellectual, and gender history. Our department is dedicated to fostering connections across disciplines on campus. Approximately a third of our faculty is a joint appointment in African-American Studies, Southern Studies, or the Croft Institute for International Studies. Dr. Shennette Garrett-Scott, Assistant Professor of History and African American Studies, earned her Ph.D. from the University of Texas. She is a historian of gender, race, and capitalism who focuses on black women in the financial industry. Dr. Garrett-Scott’s current book project, supported by a fellowship at Princeton University, is titled “Let Us Have a Bank”: The St. Luke Bank and Race and Gender in U.S. Finance, 1860s-1930s. After the failure of the Freedman’s Bank in 1874, African Americans opened and controlled more than 100 banks before the Great Depression. Her book reveals African American financial innovation through the story of the St. Luke Bank in Richmond, Virginia, which opened in 1903. For more than three decades, Maggie Lena Walker, the first woman of any race to organize and lead a bank, served as its president. Dr. Garrett-Scott places race, gender, and class formation at the center of 20th century U.S. finance. The first history of the U.S. financial industry that focuses on black women, she reveals the ways their savings, spending, and lending practices challenge understandings of success and security, notions of risk, and the possibilities of citizenship in the U.S. economy and society. What can history majors do after graduation? A liberal arts education empowers and prepares students to deal with complexity and change through a broad knowledge of the world. They gain key skills in communication, problem-solving, and working with a diverse group of people. Related careers for history include business, law, government, marketing, education, historical preservation, archives management, legislative research, documentary filmmaking, museum programming, foreign service, national park interpretation, international business, military, and library services. Whom should I contact to learn more about majoring in history?